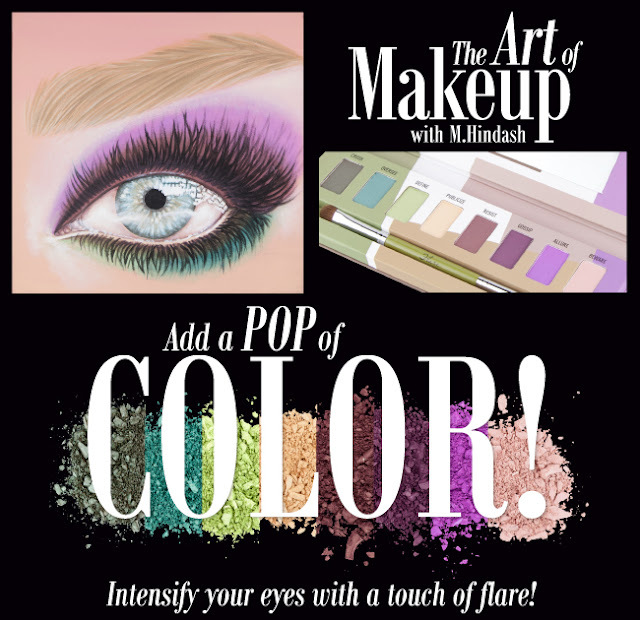 Sigma Beauty Blog: The Art of Makeup with M.Hindash, Part III. We asked that renowned artist, Mohammed Hindash, interpret the BARE, DARE & FLARE eye shadow palettes from Sigma Beauty to create a work of art. This week's feature is a painting using the eight shades from the FLARE eye shadow palette. Mohammed Hindash is a talented 22-year-old artist from Dubai, U.A.E., whose passion for art has been evolving for more than 14 years. His intricate pieces are often traditional portrait paintings based on celebrities. "I feel as though art can be misunderstood and a lot of modern art seems to detach itself from the audience. I would like to stir up a sense of wonder and familiarity when people view my work." Mohammed's success in reaching out to his viewers can be attributed to his fine talent and craftsmanship evident in his work. - Virgin Megastores Award for creating a painting based on their 10 year anniversary in the U.A.E. Parabéns a Sigma e ao artísta Magnifico Mohammed, que expressou em arte a arte da beleza!!!! AMEEEIII!!! Quero uma paleta Bare É UM SONHO.!! amazing *-*, this would be cool affilates for the blog page! Great Artist, I love the way it L-O-O-K-S. It captures all the pigments in the palette. Anyone else looking at Mohammed instead of his art? Mashallah he was blessed with beauty and talent! No, you are definitely not the only one! Hottie! I watched it on youtube. He's really genius!